Come to Dr. Steve VeGodsky's Chiropractic Family Wellness Center for safe and effective pain relief with professional acupuncture. If you have tried other methods to heal from chronic pain without success, consider acupuncture as your next choice. If you are looking to heal from chronic pain or are worried about the drugs conventional medicine has dealt you with over the years, acupuncture may be the answer for you. Acupuncture is a centuries-old healing practice involving the insertion of needles into specific body points. Many have benefited greatly from acupuncture over the years. 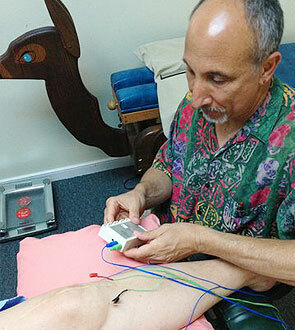 Classical acupuncture theory involves the balancing of energy flowing through pathways in the body called meridians. Research has shown acupuncture to increase the production of endorphins around the site of the inserted needles. Endorphins are the body's most effective, naturally-produced painkillers.